Today is World Press Freedom Day, a day to celebrate the fundamental principles of independent media. But WPFD is also an opportunity to pay attention to where press freedom is under attack around the world--and the increasing tendency of those attacks to occur online. Bloggers and citizen journalists are arrested, jailed, and murdered for the words they write and the images they share; citizens are cut off from each other and from the information they seek because of what governments or companies deem appropriate for society. The Committee to Protect Journalists, an independent, nonprofit organization that promotes press freedom worldwide, reports that one-third of journalist deaths in 2012 were journalists who worked online. This marks a sharp rise from one-fifth in 2011, and is the greatest overall proportion that CPJ has documented. CPJ also identified 232 journalists behind bars at the close of 2012, over half of whom (118) appeared to work primarily online. This is not an anomaly, but a pattern: CPJ�s previous three surveys have documented significant increases in the number of imprisoned online journalists each year. For example, in Vietnam--where in the past several years authorities have cracked down on media criticism--all but one of the reporters imprisoned in 2012 contributed to online news publications or blogs. And when online communication and the free flow of information seems to pose an existential threat, state authorities filter, throttle, or block the internet entirely. In Syria, where content on YouTube is the greatest source of information coming out of the country, the government has at least on one occasion cut its citizens off from the rest of the world by shutting down its internet and most mobile and landline connections. Most troublingly, countries seem to be putting in place mechanisms to make network interference and surveillance pervasive and permanent. A recent report from Citizen Lab identified 11 new countries with FinFisher Command & Control servers: technology that can steal passwords; grant access to e-mail accounts; wiretap Skype calls; and remotely operate and record from device cameras and microphones. In total, Citizen Lab asserts that FinFisher Command & Control servers are currently active or have been present in 36 countries. It�s not difficult to see how this advanced surveillance technology can have chilling effects that impose limitations on press freedom. These tools attack the fundamental conditions necessary for a free media: the right to receive and impart information through the media of one�s choice. Right now in Malaysia, where Citizen Lab identified �a FinSpy sample that appears to be specifically targeting Malay language speakers, masquerading as a document discussing Malaysia�s upcoming 2013 General Elections� independent media is under attack. As the country prepares for contested general elections on May 5th, network interference has escalated. Independent news sites have been taken offline by attacks, and local internet service providers are selectively blocking access to opposition content. At least one blogger has been arrested, and some have expressed concern that efforts to choke the flow of information may inflame tensions during a critical political moment. 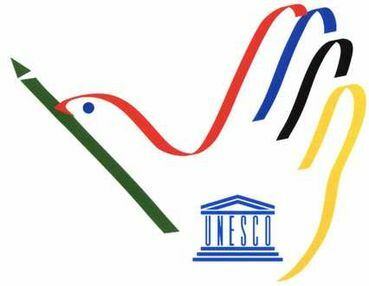 UNESCO, the UN body that organizes WPFD each year, recognizes �securing a free and open Internet as the precondition for safety online� and has named it as a sub-theme of this year�s event. This week, the main WPFD event in San Jose, Costa Rica, is bringing together journalists and bloggers with human rights advocates, legal professionals, technologists, and experts from other disciplines from the region and around the world, for three days of workshops, trainings, and panels aimed at ending impunity for attacks against journalists and improving digital security. Access is participating at WPFD this year. Our technical team co-organized a cryptoparty/digital security training with Big Web Noise, a Costa Rican digital communications firm, to give participants hands on tools to enhance their security online. We also participated in a panel on the role of intermediary organizations in protecting freedom of expression online, discussing Access�s Telco Action Plan, our work on the legal framework to protect digital rights through due process standards, and highlighting the essential role that judges play when internet service providers interfere with the right to freedom of expression and privacy. You are welcome Carol and Roger! Thanks for providing the petition link related to Malaysia Terry. You are welcome. You cannot currently send a star to Terry because you have done so within the last day.